Rebels Against Sexual Assault hosted a week of events during “It’s On Us Week” in an effort to raise awareness about sexual assault on campus. So far this semester, the university has recorded eight reports of sexual battery in the university community. The most recent reported assault occurred Saturday afternoon just off-campus. The first six weeks of classes on college campuses are often referred to as the “Red Zone,” a period of increased risk of sexual assault. Ole Miss is now 10 weeks into the 2018-2019 school year, and has recorded eight reports of sexual battery within the university community. University Police responded to a report of sexual assault on University Ave. off-campus around 2 p.m. this past Saturday. The university utilized its emergency “RebAlert” system to inform community members of the reported assault. Saturday afternoon’s RebAlert was the first alert issued this semester regarding a reported sexual assault. RASA President Sam Cox said he checked his phone on Saturday and saw a notification from the university’s LiveSafe app about the assault. He said he believes students should be alerted of all sexual assaults reported through the university in this way. “I believe that all sexual assault should be sent out just to make students aware that these instances happen and that they need to get themselves to a safer area,” Cox said. Each year, “It’s On Us Week” aims to increase knowledge on sexual assault and offer participants the chance to get involved beyond the week’s events, RASA’s lead peer educator Will Hay said. “Each of the events taught someone something,” Hay said. 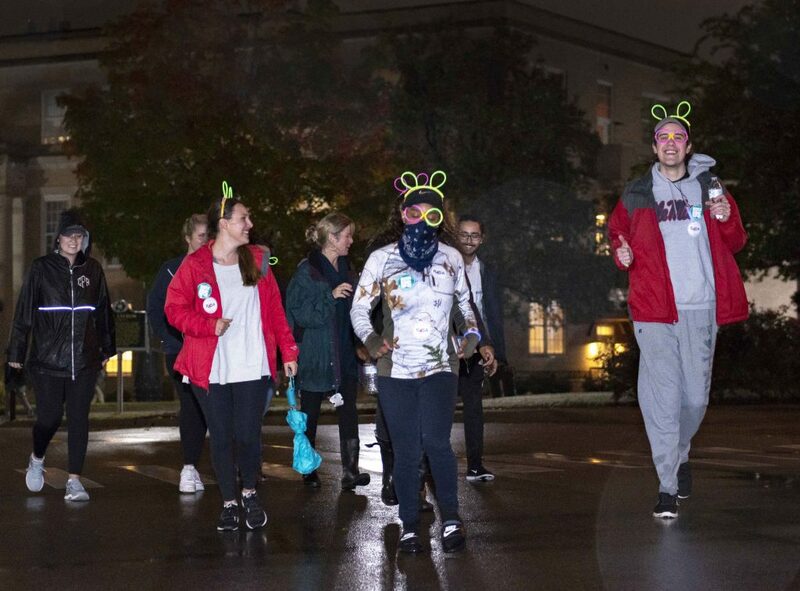 “It’s On Us Week” events included “Slide into the Situation,” the “Roll Red Roll” movie screening, “Art and Healing” and a 3K Glow Run around campus. Slide into the Situation featured an inflatable slide outside of Kincannon Hall on Monday in an effort to help educate students on intervening to prevent sexual assault. “It’s kind of more of a time for people to come and either relax or talk, whether school’s getting them stressed out or they’re survivors and they want to talk,” Cox said. RASA provided watercolors, sketch pads and t-shirts to design. If not kept by students, the art created at “Art and Healing” will be hung in the counseling center. RASA is presenting the Clothesline Project on campus Friday. Started in 2015, the Clothesline Project showcases t-shirts with student designs regarding increased awareness of sexual assault. RASA treasurer Jordyn Ellis said “It’s On Us Week” has impacted campus’ knowledge of sexual assault. Slade Rand contributed reporting to this article.